Know how to recharge BSNL, Airtel, Tata Docomo, Airtel, Aircel, Idea, Vodafone, Uninor, Reliance India, LYCA, T-Mobile, EE, Orange UK, Golbe, Smart Talk N Text and Zong with Scratch card top UP E-voucher using USSD codes. The process to redeem the prepaid balance from scratch voucher card is very easy. There are different ways to recharge your mobile phone including, Flexi, Online recharge etc. The below USSD codes are for India, UK , Canada and USA. Most of the codes will work in India, while we have specified the other countries codes as well. 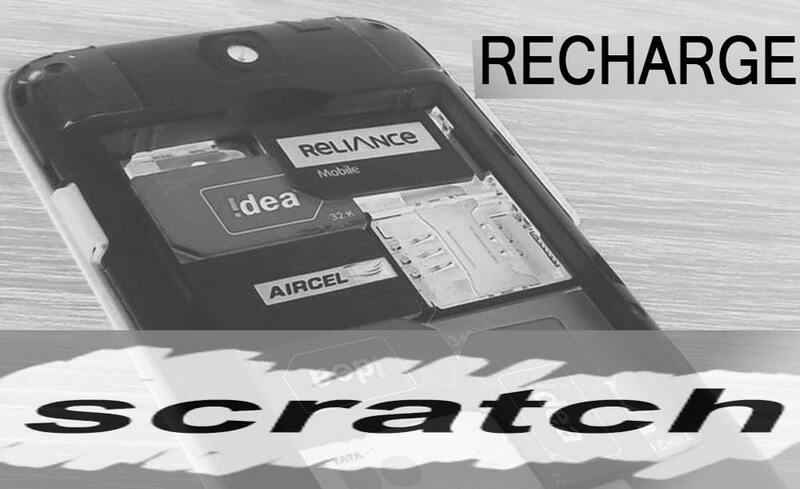 To recharge to Prepaid SIM card with Scratch dial the respective codes as per you mobile network service provider. Via Call : Dial 150, now select 1 followed by 2 in the menu, enter the 16 digit pin in the prompt and enter #. Your T Mobile phone credit will be topped up. or Dial 450 and follow the instructions. You will get a successful recharge confirmation voice or text prompt with Balance refill and validity details after applying the above codes. You might not get the full amount in your account, as some amount is deducted as service tax etc. You can know more about it by calling Customer care.